Troops of Sector 3 Operation LAFIYA DOLE deployed at Gudumbali, Guzamala Local Government Area of Borno State on Friday 7th September 2018 foiled an attempted attack by the Boko Haram terrorists on their location. The insurgents who came to extort, terrorize law abiding citizens as well as to attack the military base in the town met a serious resistance by the gallant troops. 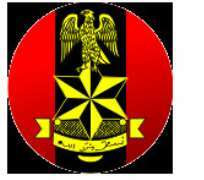 Brigadier General Texas Chukwu, Director, Army Public Relations, in statement on Sunday said that the troops also inflicted overwhelming casualty on the terrorists due to superior fire power while some of the terrorists fled to the fringes of Lake Chad. Efforts are on by the troops to get other fleeing members of the terrorists group. Addressing the troops, the Commander Sector 3, Brigadier General Uwem Bassey, while on the spot assessment visit to Gundumbali commended the troops and urged them to continue to remain courageous while confronting the insurgents. Members of the public and residents of the area in particular are therefore advised to be vigilant and carry out their legitimate businesses in their communities as well as report any suspicious movements or activities to the nearest military base.